Silver Creek’s modular buildings deliver a wide range of sustainable features that promote energy efficiency and compliance with the Collaborative and High Performance Schools (CHPS) and the U.S. Green Building Council (USGBC) Leadership in Energy and Environmental Design (LEED) standards. Through our construction practices, you can easily enhance the building’s environment by incorporating highly sustainable materials and implementing designs that will conserve energy, water, and other resources, all while saving costs and maintaining a high-quality design aesthetic. Moreover, our flexible and highly scalable solutions can match the style, program, and building requirements of nearly any project. SCI’s philosophy is to work closely with you and your design team members, employing an integrated project delivery that will ensure the modular construction systems selected will support the sustainable design intent. Efforts are made across all project phases to implement strategies for your energy efficient building that will result in a cost effective solution. The ability to perform a vast majority of the work in a factory environment provides the opportunity for significant cost reductions and increased quality control measures that become critical in achieving the level of CHPS or LEED you are seeking. 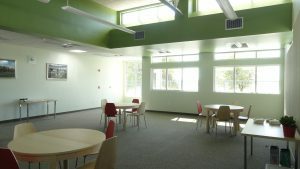 Single-ply “Cool Roof” system to minimize heat effects. Photocell controls to conserve light energy. Indirect/direct light with dimming features. 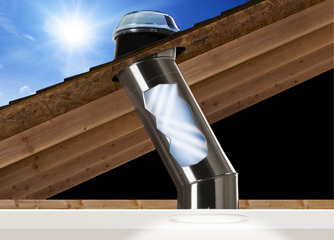 Daylight sensors to conserve light energy. High-efficiency heat pumps with sound reduction. Interlock switches to conserve energy when windows or doors are left open. Thermally broken aluminum windows with low solar heat gain. Tubular skylights that provide 100% lighting to minimize electric light usage. FSC-sourced lumber to ensure sustainable building materials. Low and/or no-VOC adhesives, sealants, paint, flooring, ceilings, and wall coverings. Non-absorbent carpet to deter mold. 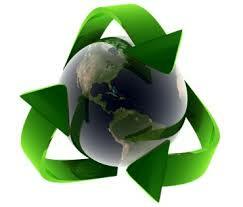 Recycled materials for thermal insulation, ceiling systems, flooring systems, and structural steel. Contact us to learn more about our environmentally safe and cost-saving sustainable features.